Back in the 1980s, I was still very much an omnivore and had not really begun questioning life. Meat was just something that everyone ate, and cooking was something I’d been taught to believe was a necessity, so rarely did I miss out on at least one cooked omnivorous meal a day. That all began changing for me early one autumn evening, when I happened to visit the local cinema and watch Indiana Jones and the Temple of Doom. Back then, movies were a big thing in my life, and I loved the whole cinema experience. This one was no exception. I got sucked in from the get-go, and, totally letting go of my own reality, I immersed myself in the story. After the curtains were closed and I sat alone in the cinema hall—the last one to leave—I began thinking. There was one particular scene in the film where Indy was offered a bowl of something to eat. Turned out, the bowl was a monkey’s skull, and the contents of it, nothing less than the brain of the monkey. For some unknown reason, this really seemed to shake my awareness. I couldn’t get over the thought of how appalled I was by the notion of eating monkey brain, especially as I realised how I was eating equally similar items from different species. 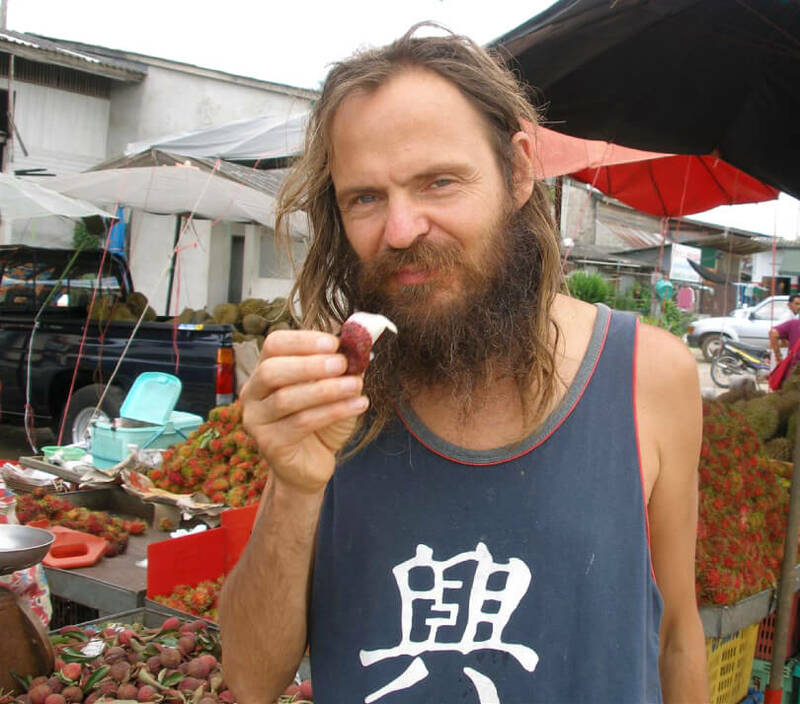 Mango Wodzak enjoys eating rambutan. 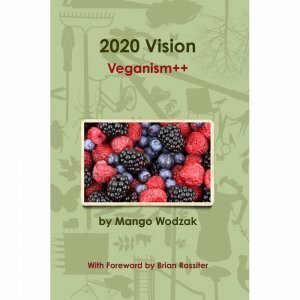 Mango Wodzak embraced a fruitarian diet, or a fruit diet, after going vegetarian and then vegan. By the time I got home, I had made the decision that I no longer wanted to eat animal cadavers, regardless of species. It was, I knew, a lifetime decision that led to my becoming increasingly more aware of the plight of animals destined to be murdered and bloodily butchered to satisfy humans’ insatiable appetite for flesh. Despite opposition, criticism and a good deal of what was supposed to be humorous leg-pulling from pretty much everyone I knew at the time, the following months saw me increasingly more convinced that I had made the right decision, and within six to eight months, I had also seen the inherent hypocrisy of vegetarianism and fully embraced the ethics of veganism, deciding that I would never again consciously support any deliberate animal exploitation. From the onset, my choices and insight had little really to do with food but were more about the immorality of ending another’s life prematurely and the ever-increasing understanding of the misery animals must suffer during their meaningless, shortened incarcerated lives as part of the animal holocaust. Mango Wodzak with a bird perched on his hand. Mango Wodzak has enjoyed a fruitarian diet, also known as a fruit diet, for many years. A few short years later, and although I had, alas, still not met any other vegans in my hometown, I had nevertheless reached out and made several ethical vegan friends around the world. Back then, the Internet was nonexistent, so mostly contact was made the old-fashioned way, via writing letters and joining up with various vegan groups, many of them producing periodical vegan newsletters. 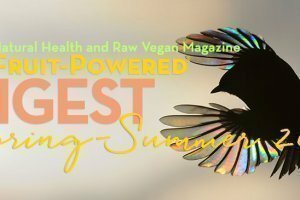 In the early 1990s, I attended an international vegan gathering in Biggleswade, England—a truly remarkable experience that gave me many new friends. One particular fellow, named Francisco Martin, gave a lecture early one morning on the benefits of eating raw food. I must have been totally ripe for the idea, as everything he said made so much sense. Immediately following his talk, I went to the caterers of the event and asked them if they could please allow for one fewer cooked vegan and instead provide raw meals for me throughout the rest of the event. It made so much sense to me that nature provides food in its ideal form and that cooking it should deplete it of any vital enzymes, changing simultaneously the chemical structure of the food. I knew from that moment on that raw veganism was another life decision that I would never regret. Unlike the vegan shift, however, which basically was an overnight decision with no looking back, giving up raw proved to be somewhat more of a challenge. Three decades of being hooked on cooked was not something I could just shake off, and I often found cravings diabolically irresistible. 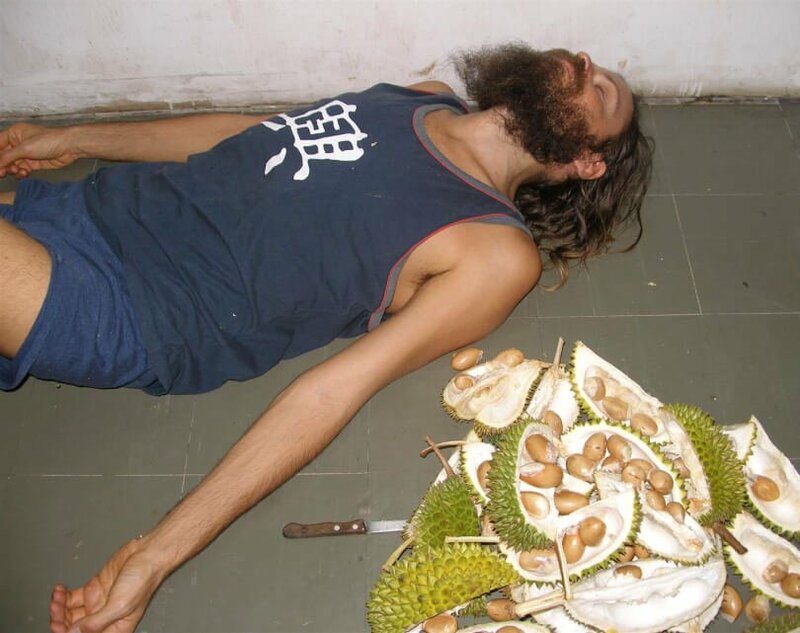 Mango Wodzak is playfully “passed out” on a floor after eating lots of durian. 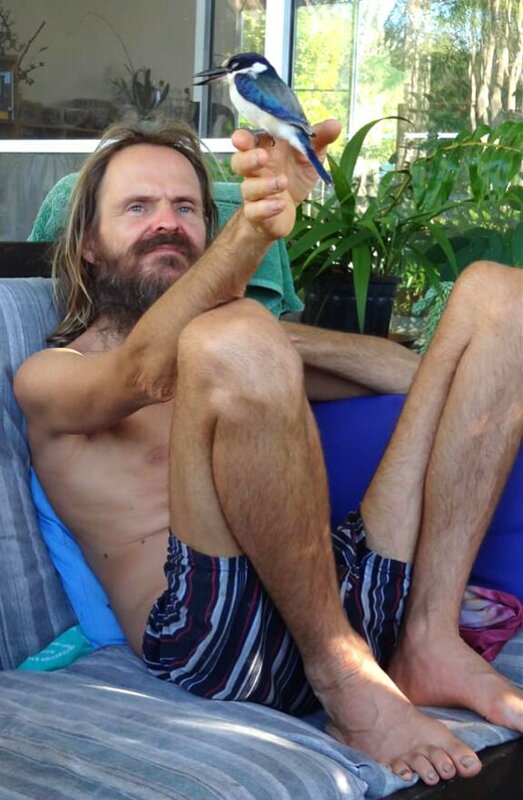 Mango Wodzak discovered that fruit is the most spiritual and ethical food, and this insight led him to a wholly fruit diet, or a complete fruitarian diet. I struggled with this throughout much of the 1990s and intend to write more on this in my autobiography, which I am working on. 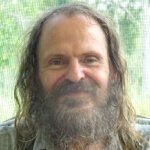 Meanwhile, as my consumption of raw food gradually increased, I realised more and more how, of all the vegan raw foods, the most appealing always seemed to be fruit, and, through much reflection, also reached the realisation that, unlike other foods, fruit was also exceptional in that it was given freely by the plant. With this new insight, it became also clear that fruit is without doubt the most spiritual of all foods and the only food that is truly symbiotically shared and, thus, has the potential to be void of any negative karma. I have complete faith that fruit can provide everything human physiology requires without supplements of any kind, including greens and nuts. 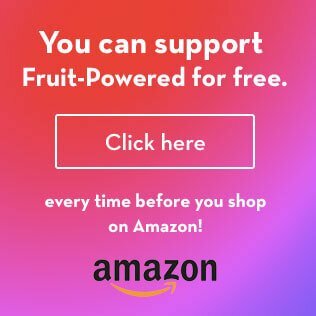 Unlike most other raw vegans, myself and my partner, Kveta Martinec, have made it a life choice to stick with eating purely fruit. We don’t consider ourselves 80/10/10 or low-fat raw vegan as, to the best of our understanding, a calorie is just hot air that should have no part in anyone’s diet. We don’t obsess over carbohydrates, fats and sugars but instead enjoy eating our fruit, eating when hungry and stopping when full. The real challenge in transitioning to such a diet lies in understanding addiction. The more we ignore it, the less it will chatter. We believe that this world can and will eventually re-embrace the concept of Eden, a place where no harm is done, where symbiosis has replaced all forms of exploitation and suffering is no more. 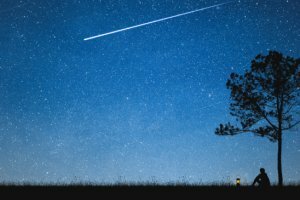 This may seem like it is too far from the reality of today and thus be dismissed as an irrelevant dream of a romantic idealist, but I believe that, in reality, it is just a few small shifts in consciousness away. 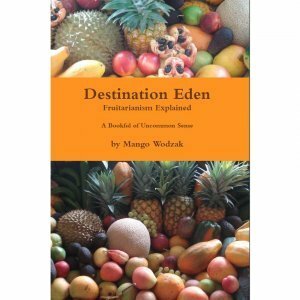 My recently written and published book, Destination Eden: Fruitarianism Explained attempts to explain the steps needed to get there and involves us all ultimately embracing the uniqueness of fruit. 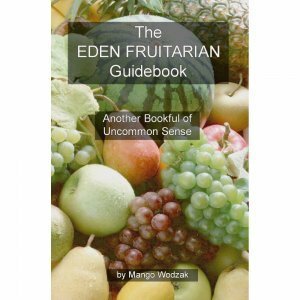 Mango Wodzak is a self-proclaimed “Eden Fruitarian,” a tag he coined and describes in depth in his books Destination Eden, The Eden Fruitarian Guidebook, Discovering Eden Fruitarianism and 2020 Vision. 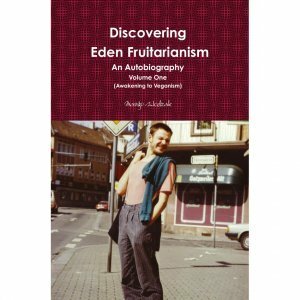 Eden Fruitarianism is an ethical fruitarianism lifestyle approach with the goal of aiding the manifestation of true planetary peace. With Eden Fruitarianism, the world would be radically different from how it is now, and its key mandate, shared by all earthlings, is for everyone to treat others in a manner we would like to be treated. This is otherwise known as “the Golden Rule.” Mango and his life partner and fellow longtime Eden Fruitarian, Kveta Martinec, live in the Australian tropics, sharing their fruit tree garden with the wallabies and other local wildlife. Mango is such a beautiful soul. He is also an inspiration. I love the picture of you and the bird (kookaburra?). What is the story behind it? Helena, the bird is a kingfisher.. He flew into the window of the house, and stunned himself.. I picked him up and he sat on my finger until some 20 minutes later he contentedly flew off. We did make friends with a willy wag-tail a couple of years ago though.. used to fly down and sit on us just for the fun of it.. I believe that Mango means well and is on a close path to the truth. Fruit, however was not meant for humans. Like all other animals in our class, our primary food source should be Figs. Figs are not fruits, but flowers. I call myself a Floran. I believe humans evolved exclusively on figs. Figs have everything humans need in the perfect balance. Mango is a great man, he needs to take the next step, he lives in a good place to do it.